3 days of intense emotions- this tour is our speciality. The Celts called it Alada, the Vikings called it the isle of the cloud and its name in Gaelic means the isle of mist. As its name suggests, this island is full of legends, charm and mysticism. The Isle of Skye is characterized by a pure, strange beauty where time seems to have stood still. Its history is as abrupt and wild as its landscapes. Since ancient times these landscapes have been changing, with volcanoes, ice, the weather and erosion all playing their part. Skye still hasn’t been contaminated by human construction, which means the rich identity of its clans still surrounds the island and transforms this tour into one of fantasy. The weather is quite mild considering the latitude of the island and extreme weather is rare. As it is being permanently hit by wind, often we go from a dark and gloomy day to having a bright clear sky within seconds. Although the islanders speak to us in English, the Gaelic language dominates the island and can still be heard day to day. For us, this tour is without a doubt one of the best experiences in the whole of Scotland. We cross Scotland towards the west, leaving Stirling and its dominating castle behind us. We enter through Callander, and head up to the Highlands and Glencoe. After a lunch stop in Fort William, it is time to head even further west, passing through dramatic landscapes of mountains and lochs. Straight away our senses are enhanced, and we start to feel the magic of Scotland. 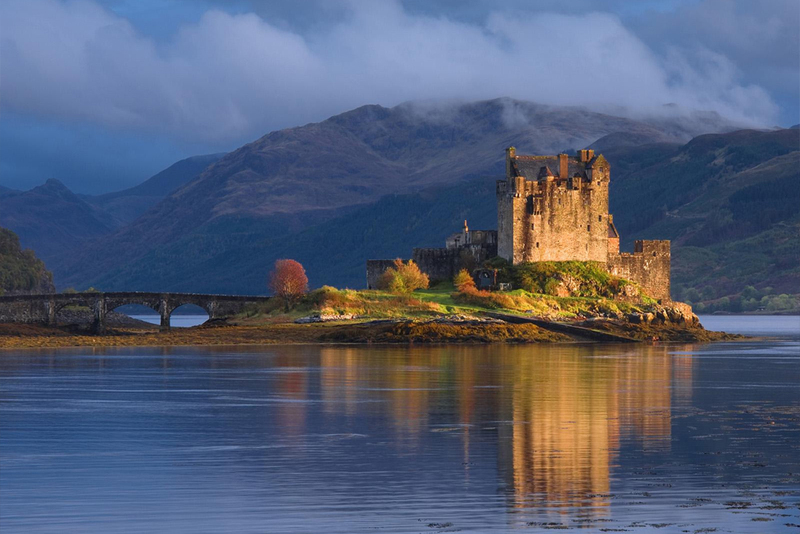 Our last stop is Eilean Donan castle, which leaves a magnificent silhouette in its shadow where 3 waters meet. Highlander was also filmed here. This castle was first built as a defense structure against the Vikings in the 13th century. You spend the night in a picturesque fishing village, Plockton, or nearby depending on availability. These intense emotions come back again today. Every stop we make will amaze you more than the last. On the island we can easily stop where you want for photos and to admire the landscape in front of us. We will do a loop round the whole island from the south to the north and east to west. See the breathtaking cliffs on the most westerly point of the island, where plenty of seabirds live. Next, admire the eastern part of the island, where the landscapes appear as if they were taken from another planet. We explain every detail of the island as we go, and you’ll be fascinated by the clan struggles of the island’s past and its legends and mythology. Let us also take you to our secret viewpoint where you can see seals! You can visit Dunvegan Castle, home of the Macleod clan for more than 700 years! Advise us if you wish to do this visit. Finally, we visit the curious capital of the island, Portree. 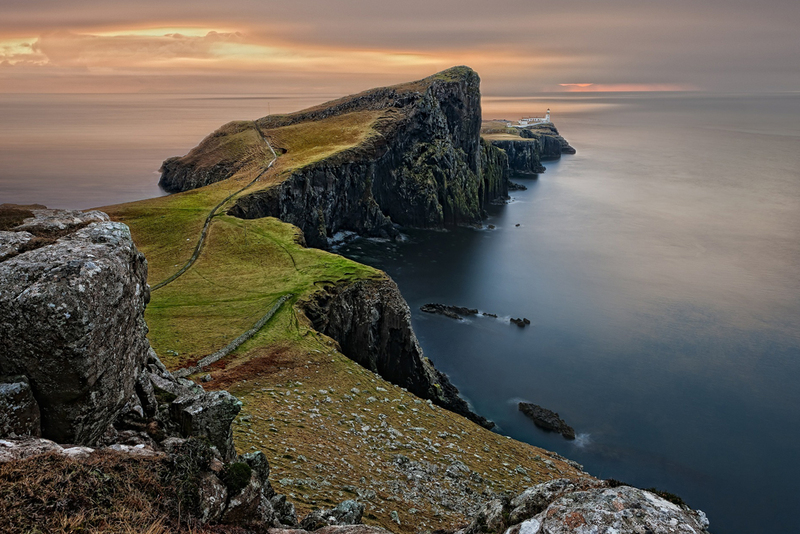 The Isle of Skye in the north west of Scotland is famous for its dramatic landscapes. It’s now time to head back, but there’s plenty to see along the way. There are more idyllic landscapes awaiting us. 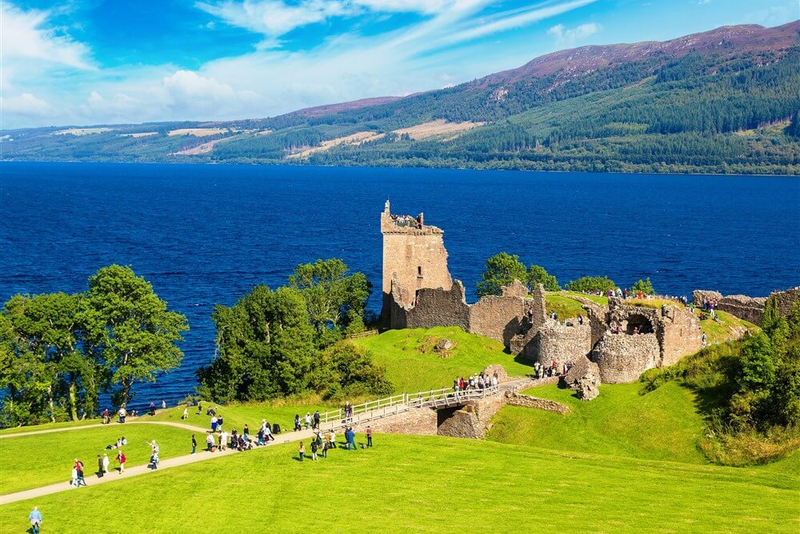 Today you see the legendary Loch Ness and Urquhart Castle. Following this, have lunch by the banks of the Ness River, in the welcoming capital of the Highlands, Inverness. 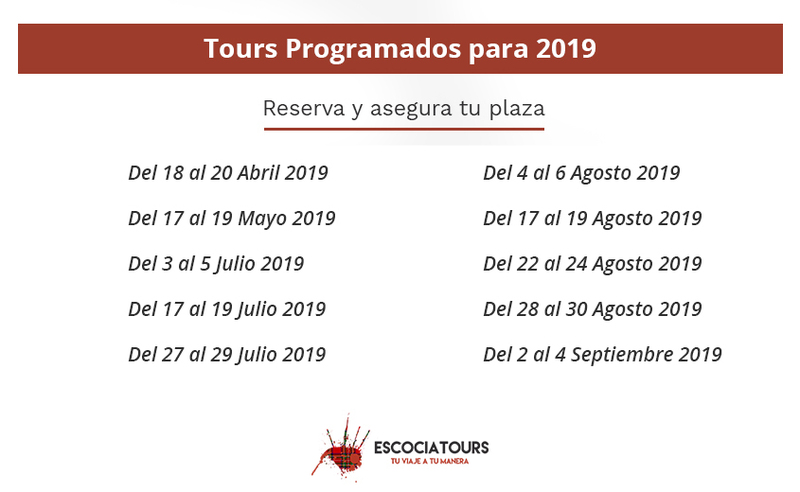 We’ll spend a while here and your guide can show the best places in the city. Then we cross the famous whisky region of Speyside. You can also go for a relaxing stroll in a beautiful forest, the Hermitage, before finally arriving back in Edinburgh. Urquhart Castle on the banks of Loch Ness.